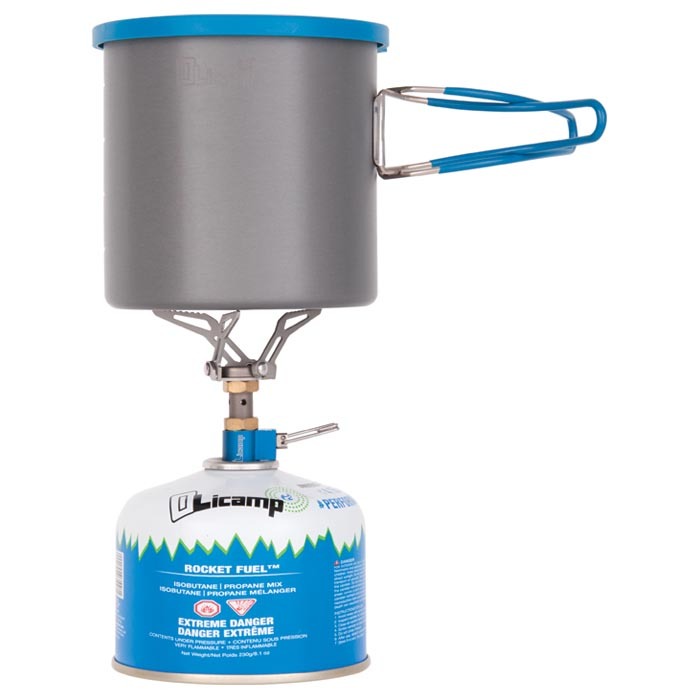 "The Olicamp ION Micro stove is the smallest, most compact, and lightest butane stove in the world. Made from titanium with stainless steel pot supports for the right balance between strength, minimal size and weight. The innovative flame spreader design maximizes heat transfer and maximizes efficient fuel consumption. At 1.25 inches wide, 2 inches tall, and only 45g it can be easily carried on any adventure.